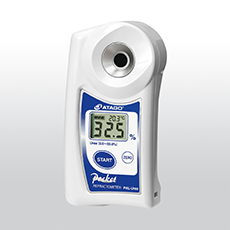 The PAL-Urea is specifically designed to measure the Urea concentration of Diesel Exhaust Fluid (DEF), also known as AdBlue in Europe. The PAL-Urea is proven in Europe as the only reliable instrument for easy and accurate checks (and meets the 2010 EPA regulations on diesel emissions). The growing increase in Selective Catalytic Reduction (SCR) engines on the road to meet these EPA regulations means the demand for pure Diesel Exhaust Fluid is rising rapidly. DEF needs to have a 32.5% Urea concentration in order to work effectively in SCR engines. 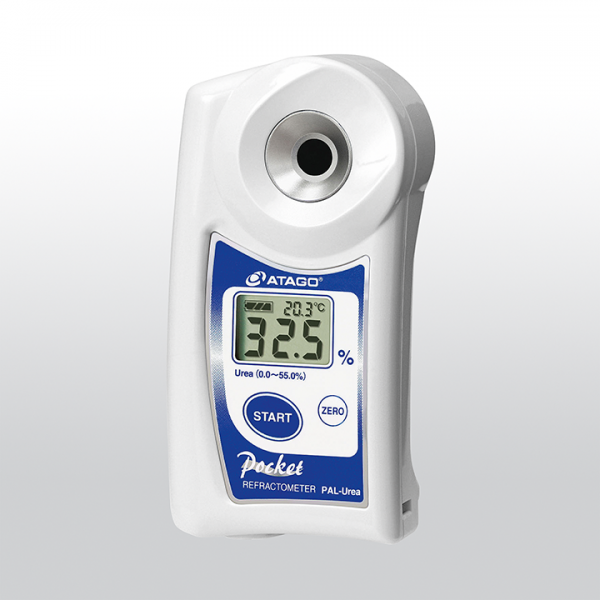 Make sure that the DEF that comes out of your pump and into your tank is pure in quality and safe from potentially harmful additives by using the only digital hand-held refractometer. The PAL-Urea is light & compact, with no moving parts to break! Simply place a few drops of DEF on the prism, press "Start" and the precise Urea concentration is displayed digitally in 3 seconds. The PAL-Urea runs on batteries capable of 11,000 measurements. Calibration can be simply performed by using tap water. It is equipped with Automatic Temperature Compensation (ATC) and rated IP65 water resistant for quick and easy cleanup under running water. Related links to "ATAGO PAL-Urea"